In today’s busy world, many people don’t use their formal dining room except for special occasions, holiday gatherings or to use as a place for additional storage. The kitchen has taken over as the dining or gathering area in a home. They might not be used as much, but, the dining room table and chairs are still treasured pieces of furniture. It is very important to take extra time to properly prepare and move dining room furniture in order to protect it from damage and costly repairs. Before starting to pack the dining room, it is recommended to take a picture of the dining room table from all angles. This documents the item and any existing damage and provides proof if there is damage made during the move. 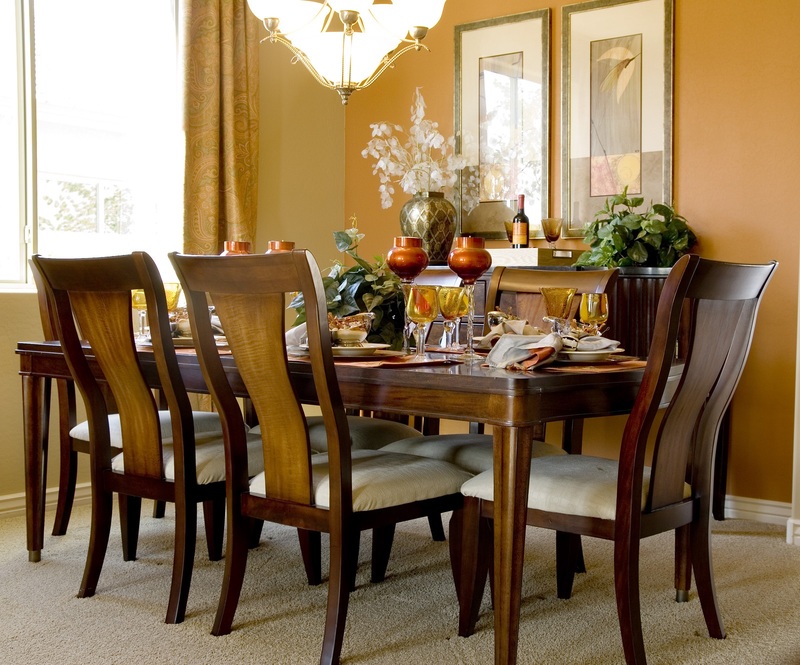 Below are nine tips for preparing dining room furniture for moving day. Make sure that you have moving and packing supplies such as cardboard, bubble wrap and packing tape on hand for this part of the project. Clean/dust the furniture before preparing for storage. To make the transport of the table easier, unbolt and unscrew the legs from the table. Tape the hardware in a re-sealable bag and attach it to the bottom of the table or on one of the legs. Label the bag with its contents. If you cannot remove the table legs, wrap them in bubble wrap for protection on moving day. Wrap each detached leg with bubble wrap for protection. Remove the table leaf and wrap it in a moving blanket. Put the sides down on a drop-down side tables and then wrap the entire tabletop with a moving blanket. Secure the blanket with packing tape, so the blanket will not move. Wrap the tabletop with as many blankets as is needed in order to cover the surface. Tape the blankets to the bottom of the table to keep them secured. Do not use tape on the surface of the table as it could leave a residue or peel the paint or wood surfacing. Glass dining room table tops should first be wrapped in several layers of bubble wrap and then wrapped with at least two moving blankets. For additional protection, add a layer of cardboard taped over the blankets. Wrap dining room chairs in a moving blanket and secure with tape. Wrap the legs and the back of the chair in bubble wrap. Once you have the dining room table wrapped and ready to go, you must make sure that it gets moved properly into a moving truck. Below are six tips for moving a dining room set to get the most optimum room in the moving truck and storage unit. Move chairs by picking them up from the bottom of the seat. Do not move chairs by lifting up from their backs or by dragging them across the floor as this could damage the chair and the floor. Stack chairs in groups of two in the moving van and secure with bungee cord or rope. Place the second chair upside down on top of the cushion on the first chair. When moving the table, have one person lift it from one end and another from the other end. Lift the table by the apron and turn so it is vertical to the floor. This will allow for easier movement through doors and up/down stairs. Load the table top against the wall of a moving van and secure with rope or bungee cords. Another option is to lay it flat on the floor of the moving truck. 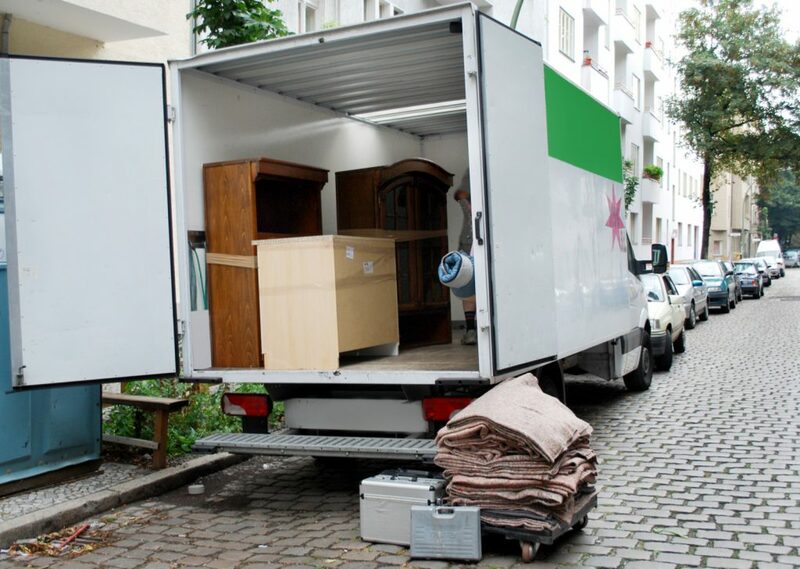 Place the separated legs in a secure position on the moving truck, where they won’t roll and damage other items. If the legs remain on the table, be very careful how you load the table into the moving truck. If the table is being moved in a standing position, you can load items below it, but it might not be able to support a large amount of weight on top. Tables can also shift during transit. It might be a better idea to place the table on its side in the moving van and make sure to keep the legs protected as much as possible. It is very important to protect the investment in your furniture, especially cherished dining room tables, while moving or in storage, so you will be able to use the items for many years to come. Self storage is a great personal storage solution to keep these items protected until you need them again. Some furniture might require storage in a climate controlled storage unit to keep the wood in good condition and protect it from possible warping or drying out from extreme temperatures and humidity. Once you place the dining room tables in storage, make sure to keep them covered with furniture tarps. Stop N Stor has a variety of storage units available in both climate and non-climate controlled to keep your dining room furniture protected in storage. Summer is traditionally the busiest time to make a move, either within the same city, across town or across the country. Everyone gets a bit stressed out on moving day, even if everything is going smoothly. However, the entire process of moving to a new home is even more stressful for a family pet. If you are moving pets across town or across the country, it is important to plan ahead for how you will move your pet. It is imperative to plan ahead for your moving day including creating a moving checklist, hiring a moving company or renting a moving truck, packing and preparing he items that are being moved and switching utilities. Part of your moving checklist should include a plan for moving your pets to your new home! If you are moving during the hot days of summer, it is important to keep you, the movers and your pets as comfortable as possible and provide water and food. In order to make the move easier for both the pet and the pet owners, it is important to be as prepared as possible. 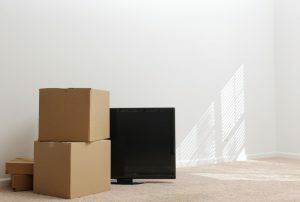 Before the moving day, there are a few things that you need to do. Check with your new state or city for any specific regulations that require you to get a pet license or if you need to provide pet health records. If you have exotic pets, some states have laws on how to properly house these types of animals. If you are moving to a new city, inform your current veterinarian so you can take your pet’s records and a list of medication with you. Ask the veterinarian if they can recommend a veterinarian in your new city. It is best practice to move a pet in a crate or carrier. Start acclimating your pet to being in a crate as soon as you know if you are moving as this could take some time to do. Moving day will be simpler if you don’t have to fight with your pet to go in a carrier. On the actual moving day, it is best to leave the pet with a friend or at a kennel. If that isn’t possible, then put the pet in a quiet room away from the major moving action. If you are just moving within a short distance, transport the pet to your new home in your own vehicle. This will allow the pet to feel a sense of comfort in a vehicle that they already are familiar with. Move the pet in a crate or carrier big enough for the animal to move around and lie down during the journey. If you are transporting the animal on an airplane, check with the airlines about allowing pets in the cabin or if they need to be put in the cargo section of the plane. When you are traveling to your home, do not feed or water your pet for a few hours before you leave. For long distance trips, only feed the pet once a day, but make frequent stops for walking and water. If possible, bring extra water from home, as different water could upset the pet’s stomach. While traveling in the car, do not let the pet hang out the window. Bugs and dirt can get in the pet’s eyes causing infections. Keep the windows locked to prevent pets from lowering the windows and jumping out. Be very careful when you arrive to your new home and let your pet out. Make sure you open the crate or carrier in an enclosed place when the pet can’t take off. Set up your new home before you move in your pet. Limit the number of rooms that you allow the pet in and then gradually increase their freedom to the entire house. Give your pets food in their favorite dish and have their favorite toys, blanket and bedding nearby to make them feel safe at the new home. The familiar smells with help them adjust easier and quicker to their new location. Take some of the stress out of your moving day by planning ahead. This including planning for moving your pet to your home. Good Luck with you move! View into a contemporary kitchen with island from dining area with round table. Summer is the major home buying and selling season. Summer is the time of year when families move for new jobs and opportunities across town or across the country. Home buyers are looking for new homes in their new cities and to sell their older homes quickly and easily. In order to have a home stand out from the competition in the neighborhood, a seller needs to extenuate the strengths of the home and downplay the weaknesses in order to attract the most potential buyers. Realtors recommend that their clients “stage” their homes to sell quicker. Home staging is the process of decluttering, painting, re-decorating and in some cases upgrading the home to make it appeal to more buyers. This can be done by the homeowner, realtor or hiring a staging company. We have talked about staging a home during the winter months previously in our blog. Staging a home during the winter months is actually a bit more difficult than during the summer months. During the summer, you can add flowers and spend time accentuating the curb appeal of your home, which is hard to do during the winter months. Home staging does work in the home seller’s advantage. According to a 2014 study by Home Staging Resource by Home Staging Resource, 12% of real estate agents believe that staging “increases the dollar value of the home” by at least 11-20%! Consult with your realtor for more information about staging your home. They also can get a client in touch with local companies that will professionally stage your home if you cannot do it yourself. The first step in any home staging project is to de-clutter. 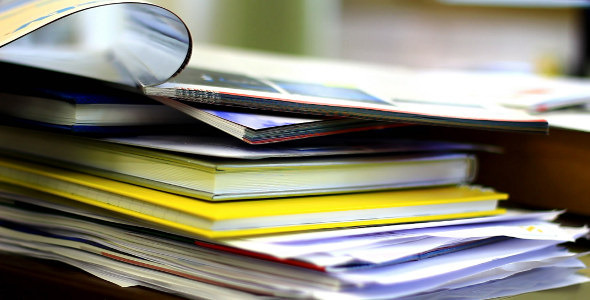 Remove excess books and accessories from the rooms and place in a storage unit. 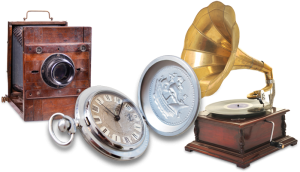 Do NOT pack them up and place in storage in a basement or attic in your home. The boxes would add more to your clutter instead of reducing it! A vital step in staging a house to sell is making sure that the house is cleaned from top to bottom. It is important to sweep, mop and dust all surfaces so that the house is shining and inviting. Don’t forget to clean and organize storage spaces in the attic and basement. Replace the personal photos with neutral artwork or mirrors. Do a walk thru your home to see the items that will need to be repaired. Then, have a friend or a neutral party walk through and assess the home as well, because they might see other things that will you might have missed during your walk thru. Fix cracks in the bathroom and kitchen tile, wood floors, windows and walls. If these are not fixed, it could affect the bid amount and buyers could ask for money for repairs. First impressions are everything, especially with selling a home. Over 80% of home buyers start their new home search online and then drive to see the house in person. Buyers will see the exterior, front yard, front porches, garages, driveways and sidewalks first before they see anything else in the home. If they like what they see, then they will make an appointment to see the interior of the home. Making sure the home has great curb appeal is important to your home selling process. Power wash the porch, patio and walkway on the outside of your home. This is a lower cost alternative than re-painting the home. The exterior of the home should be a neutral color. However, you can do a bright and inviting color on the front door or shutters. Paint or touch-up the front door, trim, shutters and garage door. Clean up flower beds, flower boxes and planters around the home. Update the outside look of the home with new flowers and fresh greenery and plants. If the backyard is landscaped, make sure that this is well maintained and weeds are pulled and grass is cut. Make sure that the house number is viewed from the street. Replace any missing or damaged numbers. Use solar light fixtures along the walkway in the front of your home. This will add a security feature, which also highlighting the best features of your home. Stop N Stor offers moving and packing supplies that will help you with your home staging and decluttering projects. We have 6 locations in the Hinesville, Port Wentworth and Savannah area to serve any of your business or personal storage needs. Buying furniture for a home is an investment. When you are moving and storing a couch or other living room furniture it is important to keep your investment protected. Each type of furniture can require different preparation for moving and storing, so check with manufacturer instructions before cleaning, moving and putting in storage. For example, if you are moving or storing a mattress, it is recommended to move the mattress vertically, but storing it horizontally in order to protect the inner springs. Knowing the specifics about moving a couch and storing leather furniture is important in order to keep these pieces of furniture in good use for years to come. Clean the furniture before the day of the move. Clean the fabric on the couch with an antimicrobial cleaner and dry completely. Clean wood furniture with furniture polish. Pre-treat leather couches with furniture wax. Use old sheets and blankets to cover and protect the couch during the move. This will help protect the furniture from dirt, scratching and other dings that could occur when moving it. So, you will not run into possible problems or impediments, clear a path for the route that you are moving the couch. Do not use plastic to cover furniture either during moving or in storage. Plastic does not allow the furniture to “breathe” and it can possibly cause water damage during long-term storage. If you are moving or storing a leather couch, it is recommended to rent a climate-controlled storage unit in order to protect the leather from cracking or peeling due to extreme temperatures. Do not wrap a leather couch in plastic covering as the plastic can enhance the development of moisture inside the plastic and damage the leather of the couch. Place plastic or cloth covering on the ground of the storage unit before you place any type of furniture in storage. This will protect the furniture from cold or moisture damage that can seep through the concrete floor. Place a couch at least 4 inches away from the walls of the storage unit and leave enough space in-between larger furniture or appliances to allow for easier access. Place the couch horizontally in storage. If you do not have the space in the storage unit and the couch is very sturdy then you can store the couch vertically. Placing a couch upright can damage the coils and inner workings of the couch over long-term storage. Do not stack heavy items on top of any type of furniture, but especially couches cushions. This can cause damage to the fabrics and upholstery, especially if the items are sharp and very heavy. 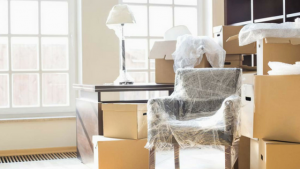 It is very important to protect the investment in your furniture, especially mattresses and couches while moving or in storage, so you will be able to use the items for many years to come. Self storage is a great home storage solution to keep these items protected until you need them again. Stop into a Stop N Stor location in Hinesville, Port Wentworth or Savannah to see how we can help you with your storage needs! The busy house buying and selling season begins to get going during the spring and is extremely busy during the summer months. January, February and March are the slowest months for buying and selling homes. Because of a sudden job change or a life changing event, a family might have to put their home up for sale during the winter months. During the “off-season” months, the seller will need to extenuate the strengths of the home and downplay the weaknesses in order to attract potential buyers. In order to get more offers and sell the home quicker, realtors encourage “staging” a home for sale. Home staging is the process of decluttering, painting, re-decorating and in some cases upgrading the home to make it appeal to buyers. This can be done by the homeowner, the realtor or staging companies. The goal of staging a home is to make the home welcoming during anytime of the year, but more so during the winter months. A clean, clutter-free home will be more attractive to potential buyers and could sell faster and for more money. Staging companies and realtors recommend renting a self storage unit to help you with the staging process. Renting a self storage until can be done on a month-by-month basis, which is great for staging opportunities. A self storage unit is a perfect place to store large bulky furniture that might clutter up a room or place for the boxes of a toy collection. A self storage unit is also the place to put those personal items that are not needed in a home when you are trying to sell it. 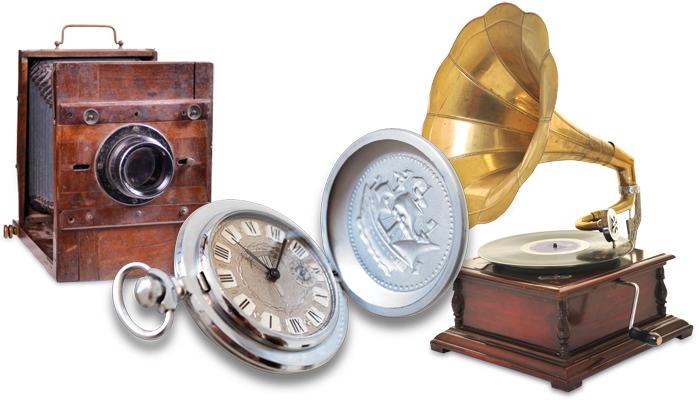 Box up and place in storage collectible items, personal artwork and photos and music collections. A buyer wants to try to imagine a home as they would want to decorate it, so it is important to make the home as neutral as possible. For home staging, the most important thing to do is de-clutter your home. Make sure that you go room-by-room to de-clutter. Have packing supplies on hand to properly store your excess items. Stop N Stor offers packing and moving supplies from boxes to newsprint to packaging tape to help you get your items ready for storage. Make the home visually appealing. This involves cleaning, repairing problems, dusting, vacuuming and painting rooms a more neutral color. Make sure to keep on top of the maintenance projects, if it is taking longer for your home to sell. 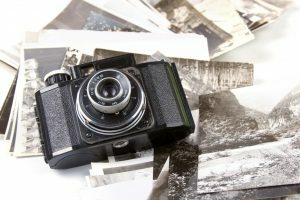 Even though realtors recommend removing personal photos during home staging, it is actually a good idea to have photos (or at least a photo album) of the home during the spring and summer months, so potential buyers can see what the landscaping, flowers, patio and garden looks when everything is in full bloom. A home’s curb appeal is vital to make the home look inviting and welcoming to potential buyers. The outside of the home is the first impression that a potential buyer has when seeing visiting a home that they are interested in buying. Keep up with outdoor projects such as raking the leaves, cleaning out the gutters, sweeping down porches and repairing and replacing any exterior lighting problems. During the winter months, it gets darker much earlier. It is important to make good use of the natural lighting in your home as much as possible. Open up the drapes and blinds to let the natural light in the home during daytime showings. If you have to show the home in the evening, make sure that all exterior and interior lights are on and working properly. Replace light bulbs with a higher wattage and warmer hues to make the rooms more inviting. Keep the temperature of the home at a comfortable setting. If you have a fireplace, add a fire during the home showing hours. Use battery powered candles to add warmth and light to the room. But, do not use an overpowering scent for the candles as that can turn away potential buyers. Paint the walls for the rooms in your home a neutral color and have similar colors for your furniture. Then add colorful seasonal accessories such as rugs, pillows and throws to give an added “pop” to the rooms.